There’s no better time than now to start looking into new tools and technologies that are being released. 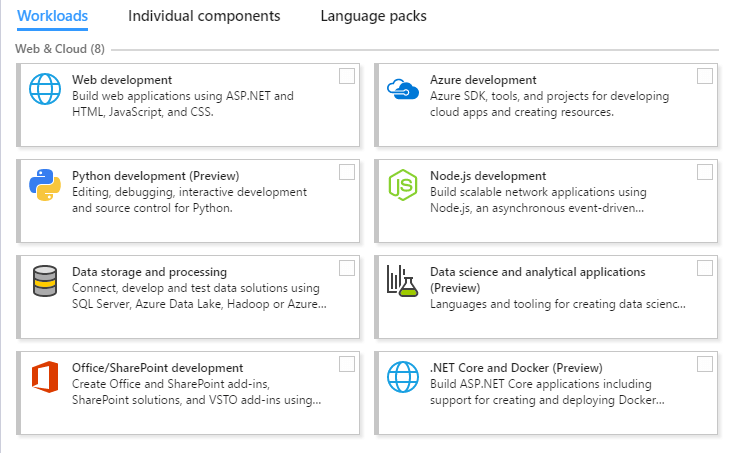 At Connect(); 2016 Microsoft announced the availability of Visual Studio 2017 Release Candidate. This has given me a chance to install it for myself and take a deeper look at what is coming for this Visual Studio 2017 RC review. 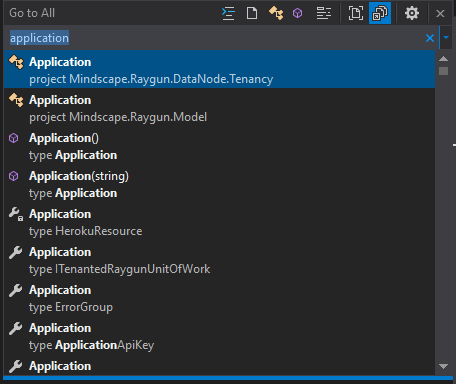 In this article, I’ll take a look at what is new and improved with Visual Studio coming into 2017, so you can get a feel of what is coming up before you try it out for yourself. This is an awesome new part of the installation process. If you’re just after a basic install you can skip this step, this will bring the total size of the install to 740MB! This is much better than the 8GB needed for a basic install of VS 2015 and will still support over 20 different languages, source control, and even IntelliSense. For my install, I only selected the Web Development and Node.js workloads as it was all I needed. This brought the total of my install to 5.02GB. When I first opened VS 2017 I felt right at home. 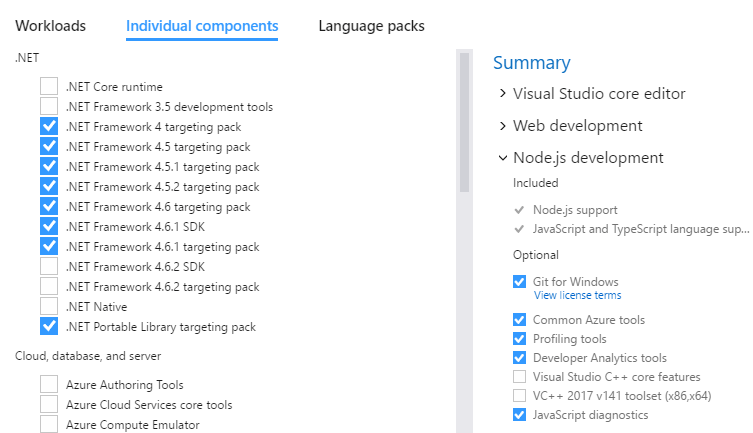 Coming from VS 2015 myself I was interested to see if there were any changes to the UI. As I logged into my Visual Studio account, before it even started, it loaded up all my preferences. This gave me a seamless transition between the 2015 and 2017 version. There are many updates coming in the new release of Visual Studio. Unfortunately, I won’t be able to cover them all in this Visual Studio 2017 RC review, but I’ll cover a selection of updates. Please take a look at the release notes if you want to know which other updates are coming in 2017. Using the ‘Run to click’ feature you can also view information about how fast it took for the block to execute, process memory and CPU usage. Using this you can drill down until you find out exactly where your issues are. You can now navigate through your whole project using the ‘Go to All…’ search that is replacing the ‘Navigate to…’ one. This feature can be found under Edit > Go to > Go to All… or you can use the shortcut ctrl + , or ctrl + t.
Updates to the ‘Find all references’ output has now made it much easier to sift your way through the results. The search output now has syntax colouring and splits all the information into their respective columns. These columns can be customized so you only see what you want in the output. Another great addition is that they added ‘Peek preview’ to the output, and hovering your mouse over the reference will show you the block of code that it was found in. Adjustments to the IntelliSense autocomplete means no more scrolling through a massive list of possible recommendations. Instead it will jump straight to the most likely option. It can now also tell the difference between capital case and lower case to make using shorthand autocomplete searches even shorter. The new version of Visual Studio also includes a new simplified, non-modal, exception helper. This is to help make finding out why exceptions are causing issues in your code easier. You can use this helper to easily view your exception information at glance with instant access to inner exceptions. If you’re diagnosing a NullReference exception the helper will point out exactly what was null so you can quickly continue investigating the issue. Click here to read more about the benefits of the new exception helper. I really enjoyed my experience with the new Visual Studio. If you use this as an IDE I would highly recommend trying it out for yourself to explore the new updates. Do you have any thoughts on the new Visual Studio? Let us know in the comments below!